As you know, Calceus is a large online shop, which has a large number of orders every day. Our warehouse staff will process those parcels one by one in chronological order. When you place an order with Calceus we will have to process the order first. Processing usually takes 1-7 business days for your order. We will send you an email if the processing of your order takes longer than expected. Shipping time will depend on which country you reside in. Shipment normally takes 5-15 business days to arrive. 1. Canceling an unpaid order. An unpaid order will be canceled automatically after 24 hours. 2. Canceling a paid order. To cancel a paid order, you will need to submit a ticket here and send all the necessary information. Here at Calceus, we cannot cancel orders which have been shipped out. In other words, once you receive our shipment notice, the order cannot be canceled. Then please wait for your package to arrive and you may either keep it or contact us to arrange "return for refund". Here at Calceus, we take pride and strive to make sure all packages are delivered in a timely manner. You should receive your order within 8-17 business days from the date your order was placed. For more information on shipping please refer here. You may also track your order once it has shipped by signing into your Calceus account and clicking the "My Orders" button. We will send you an email once your order has shipped. If you did not receive an email, you may have entered your email incorrectly or it could of went to your spam folder. It normally takes 3-7 business days for us to process your order and we will then ship your package out. If you have not received an email about your order being shipped within 7 days of the date you placed your order then please contact Calceus customer service here. If you have not received a confirmation email about your order, you may have registered your email incorrectly or the email might be in your spam folder. 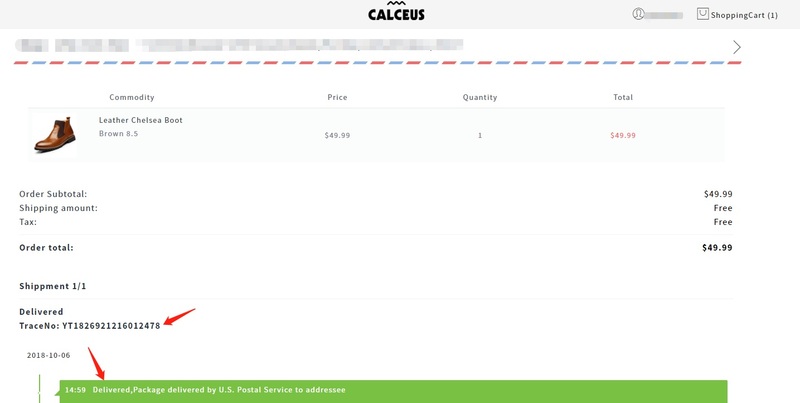 You may log into your Calceus account and click "My Orders" button to see your orders. You may also mail to service@calceus.org to find out more information about your order. Once your return is received and inspected your refund will be processed. While we make all refunds immediately, it can take up to 7-10 business days to reflect in some bank accounts. Please check your bank statements/PayPal account after this time.